Some flirt with the line between life and death, but for Kim Garland; she embraces it and injects it into her filmmaking. As a writer and director Kim has developed her filmmaking style around the congregation of those who celebrate life and mourn death, having grown up above her family’s funeral home in New York City. In Kim’s supernatural shorts trilogy she utilizes the space to challenge her characters with the idea of life and the act of death. Kim Garland is a screenwriter and director from Hell’s Kitchen, NYC. She is a co-owner of City Kid Films, a co-founder of Scriptchat, and a columnist for Script magazine. At Script, she covers her ongoing experience writing and directing her first films in the column, Write, Direct, Repeat. 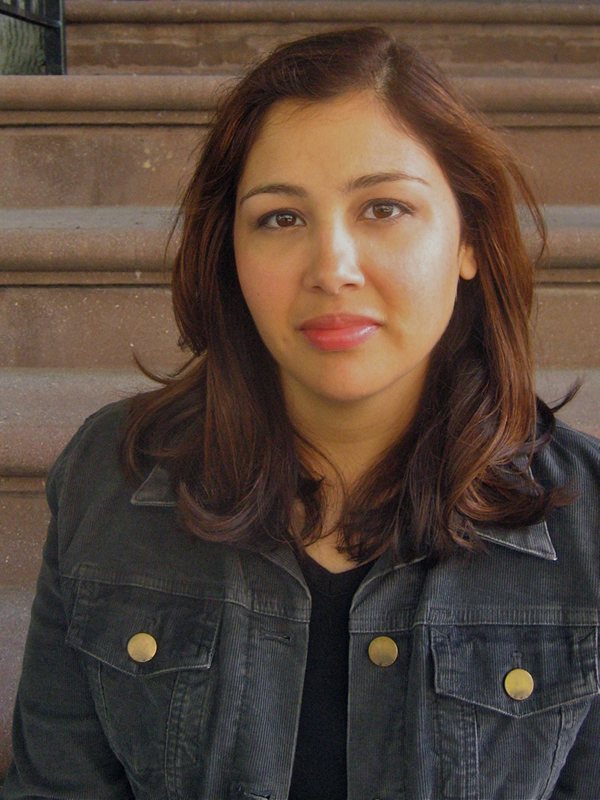 Kim graduated from Columbia University with a degree in Creative Writing and began her career in book publishing at Random House while continuing to write fiction. She studied screenwriting at The New School University in NYC and transitioned to the film industry through her work in literary acquisition at Braven Films, a production company headed by Producer Frida Torresblanco (Pan’s Labyrinth). Kim made her directing debut in 2012 with the award-winning short film Vivienne Again, a supernatural thriller she shot in her parents’ Manhattan funeral home. Shortly after, she directed her second short film, Deal Travis In, a supernatural thriller starring Nick Sandow (Boardwalk Empire, Orange is the New Black). Films written and directed by Kim Garland have screened at numerous film festivals, including Fantasia International Film Festival, HollyShorts, Dragon*Con, New York International Short Film Festival, Flyway, NewFilmmakers New York, FilmColumbia Festival, and the Big Apple Film Festival. I guess the big quirk about me would be that my family is in the funeral home business and that I grew up in the brownstone building above my family’s funeral home in Hell’s Kitchen, NYC. Probably as a result, I’ve always been fascinated by that thin line between life and death and you can definitely see that in my work today. When I decided to direct my first short film, I started by getting permission to shoot in our funeral home and then came up with the story idea. I knew having a free and unique location was my greatest asset going into my first film so I built everything around that prime resource. I write a monthly column for Script magazine called Write, Direct, Repeat. It’s geared to screenwriters who want to learn about directing their own work, but the type of content I cover also applies to directors in the early stages of their careers. I’ve covered a variety of topics so far, including a hands-on project that takes you through the steps of directing a scene for the first time and another piece on selecting your first film to direct. I’ve also covered script development, table reads,lookbooks, film festivals and lots more. Coming out in early June, my next article will be on marketing your short film. Where you are in your trilogy of shorts? I’m two-thirds of the way through creating a trilogy of supernatural shorts, that are set in a covert world in NYC where people can resurrect from the dead. The films in my Resurrection Trilogy (as I’ve been calling it) are stand-alone, each with their own stories and characters, and offer a glimpse into this world through the people trying to survive in it. The first two films of the trilogy are complete: VIVIENNE AGAIN (2012) and DEAL TRAVIS IN (2013). And both films had their west coast premieres at HollyShorts! Before diving back in for the third film, I needed to take a step back and develop this world much more completely to see where it was heading beyond the shorts. My goal is to share a more in-depth story about the people in this world, either as a feature film or as a serialized story, so while I’m writing the third short, I’m also developing this into a much larger world. You can watch the first two films of the trilogy online at my website. I’m developing two new short films. The first is a science fiction short I plan to shoot this year and the second is the final film of my Resurrection Trilogy. In addition, I’m working on two new feature scripts. One is a supernatural thriller — a ghost story with a twist — and the other is a horror film I’m writing with Brad Johnson. Brad is also a columnist for Script magazine and this is our first script as collaborators. All of these projects are in different stages of development ,but I’m very excited about each of them. I absolutely love genre films and each of these projects will give me a chance to try something new as I continue to develop my filmmaker’s voice and visual style. If you had an unlimited budget and time to create your next film what would you make? I don’t think an unlimited budget would change the type of stories I would tell, so I would continue to move forward with the projects I am already planning, but it would probably change the scale with which I could tell those stories. As a genre filmmaker, I would always love access to more tools to create believable, fantastical worlds, whether that’s using practical or in-camera or visual effects to create something surprising and transporting. Visual and special effects are definitely areas where a bigger budget could bring in a lot more choices. I would also want to spend more time in prep working closely with key cast and crew to find the best solutions to all of the challenges we’ve set out for ourselves with the film. If I could throw money at prep and buy more time to really work out the details with every department before getting on set, then I think that would be money well spent. I currently work with some very talented people who I would want to continue working with. My dream team would include my most trusted collaborators plus the hires they each felt would help them to do their absolute best work. But in the end, I would love to work with my usual collaborators no matter what the budget. They bring original ideas to the table and work diligently to achieve them. They have impeccable taste and refuse to settle. That’s my kind of team! The stats are daunting, no doubt, and as much as I would love to be viewed as a filmmaker, and not separated out as a “female filmmaker,” the reality is that day hasn’t come yet. The old guard does not share power without revolution and one way or another revolution has to come. Who has been your inspiration in the film industry? I’m most inspired by the other independent screenwriters and filmmakers in the trenches with me. These filmmakers have day jobs and families and school loans to repay. The world isn’t waiting with baited breath to watch the next film or read the next script they produce, but hell if they don’t get up every day and pursue filmmaking with an obsessive passion that is a hallmark of the arts. In my filmmaking circles, every day someone gets a win and someone gets a loss. But the winner doesn’t just disappear and move up to a better class of friends and the loser isn’t kicked out and ostracized. Instead, we pat ourselves on our backs or lick our wounds, but either way, we never stop pushing forward. I am most inspired when I see someone just like me refuse to take no for an answer. If they can do it, then I can do it, too.